LONG MOT, FULL SERVICE HISTORY, 12 MONTHS WARRANTY & 12 MONTH AA BREAKDOWN COVER - READY TO DRIVE AWAY TODAY. GREAT SPECIFICATION SPORT MODEL IN THE BEST COLOUR OF GRAPHITE GREY METALLIC IN FANTASTIC CONDITION THROUGHOUT. JUST ARRIVED! 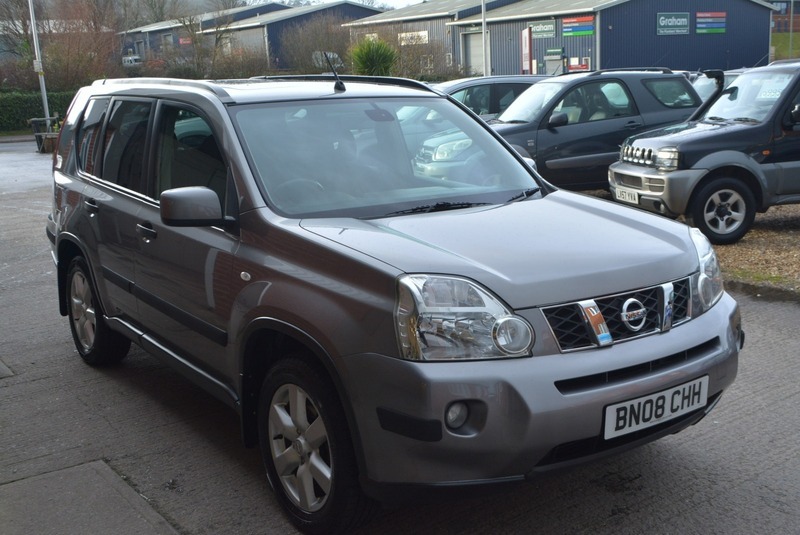 Here we have a stunning NISSAN X TRAIL SPORT DCI 2.0L DIESEL MANUAL 5 DOOR 4X4 in grey metallic with black cloth interior in superb condition throughout. Full service history at intervals of 7k, 13k, 20k, 25k, 30k, 34k, 38k, 42k, 43k, 49k, 58k & 66k having now only covered 71,000 miles. Coming fully equipped with a factory fitted electric glass panoramic sunroof, alloy wheels, cruise control, climate control air conditioning, electric windows, am/fm stereo with front loading cd player with integrated Bluetooth telephone connectivity, electric mirrors and two fully remote keys.